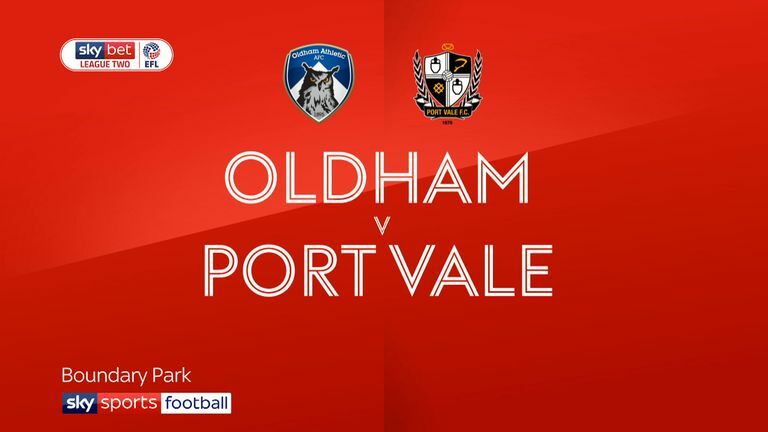 Highlights of the Sky Bet League Two match between Oldham Athletic and Port Vale. 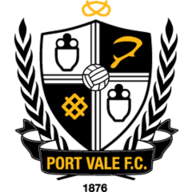 Port Vale ended their run of three straight Sky Bet League Two defeats with a battling 1-0 victory at Oldham. After being hammered 6-2 at home by Lincoln last week, the Valiants produced a staunch defensive effort and took all three points through Tom Pope's first-half goal. Both sides created early chances, with Callum Lang firing inches off target for Oldham and home goalkeeper Daniel Iversen making a brilliant point-blank save from Nathan Smith. Vale's breakthrough came after 37 minutes when Latics defender Peter Clarke barged Luke Hannant to the ground as the pair chased a hopeful ball over the top. From the resulting penalty, Pope sent Iversen the wrong way. Oldham felt they should have had a spot-kick for Smith's challenge on Lang, while Dan Gardner went close to equalising just after the restart. Though the hosts dominated long spells of the second half, they lacked cutting edge against a packed and determined Vale backline. 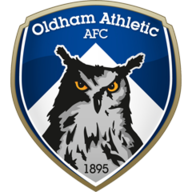 Clarke almost forced in from 10 yards and Jose Baxter sliced wide, but Oldham slipped to their fourth home defeat of the season.